Our Morçilla is naturally gluten-free with rice, fresh blood and paprika. It's rather more-ish. 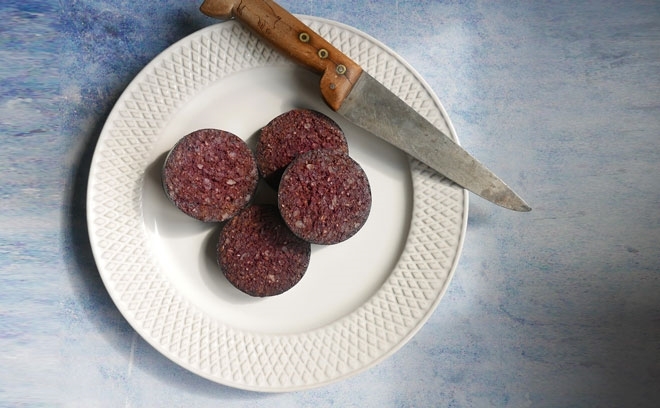 We make our Morçilla with fresh blood, chunks of fat, sautéed onions and spices, and put the mix into natural hog skins. 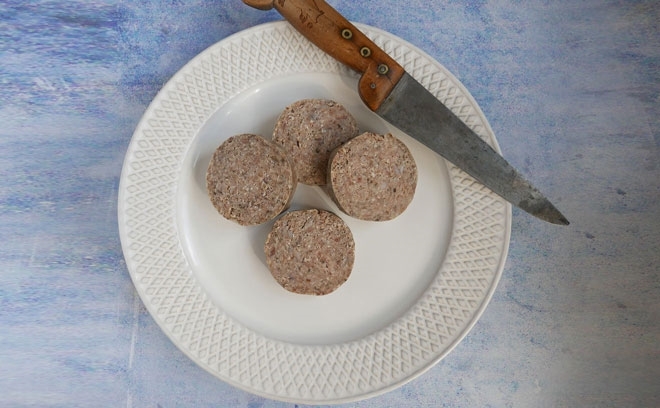 This is the one that we always cook a little extra of, because it always makes an appearance on our lunch plates after a morning cook. 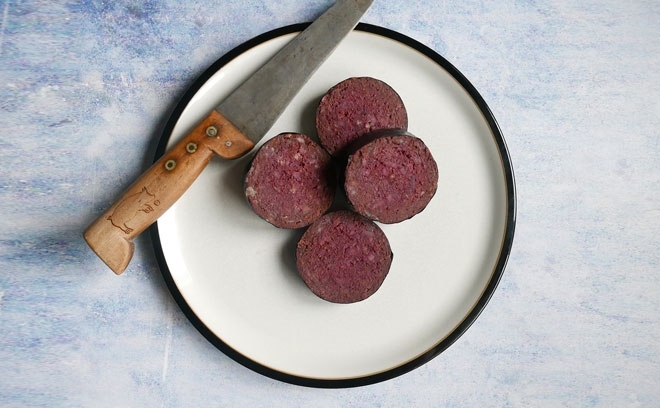 I'd given up buying modern black puddings, as they were universally bland and a pale imitation of he puddings of my youth. That was until I read an article explaining why they were so tasteless. 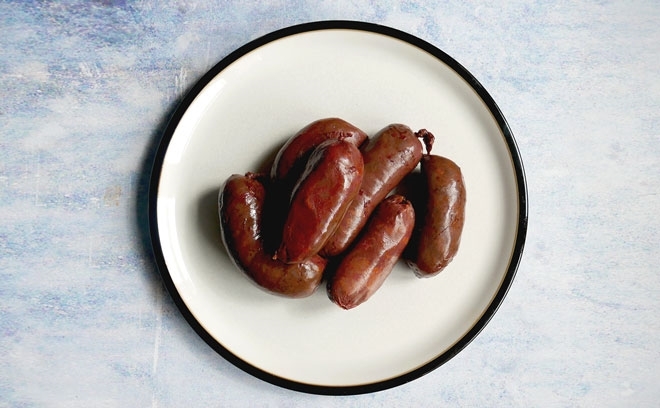 95% of puddings are now made with imported, dried pig's blood. 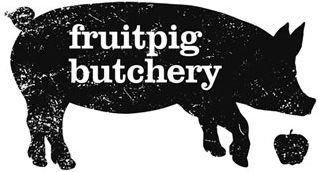 I then discovered the Fruit Pig and received my first order last week - black puddings, morcilla and the intriguing 'mutton bacon'! My first recipe was for black pudding Scotch Eggs (River Cottage recipe). An absolute delight and also enjoyed by my carnivorous partner (steak tartare with raw egg type of lady!) and importantly by my 92 year old mother (a tripe and onions type of lady). She declared them to be as good as they used to be. Not yet tried the morcilla or 'bacon', but will definitely order more puddings. Cooked rice, fresh blood, chopped pork back fat, smoked paprika, sauteed onions, salt, spices. 2 weeks in the fridge or 4 months in the freezer.